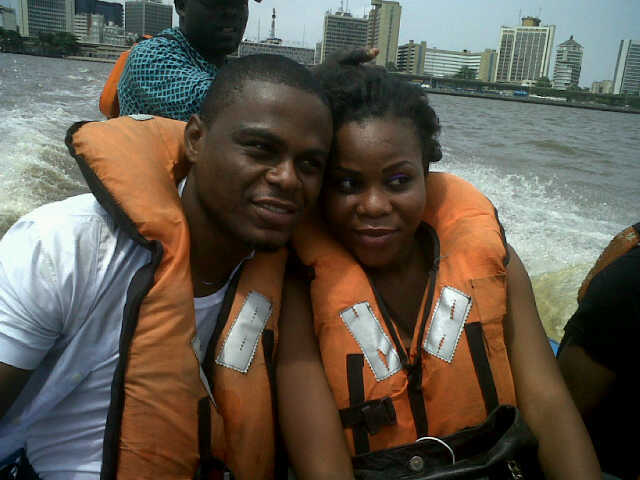 My visit to Tarkwa Bay Beach was an unforgettable experience, as it was my first time on a speedboat (covering my eyes). I was scared to death! Unfortunately for my team, the Information Hub department at church, the speed boat which conveyed us developed an engine challenge, which got me frightened because we were surrounded by water and STUCK for about 15 minutes!!! As I prayed silently for God’s protection, a friend of mine assured me help was on the way….And Alas! A rescue boat arrived to convey us to our destination. 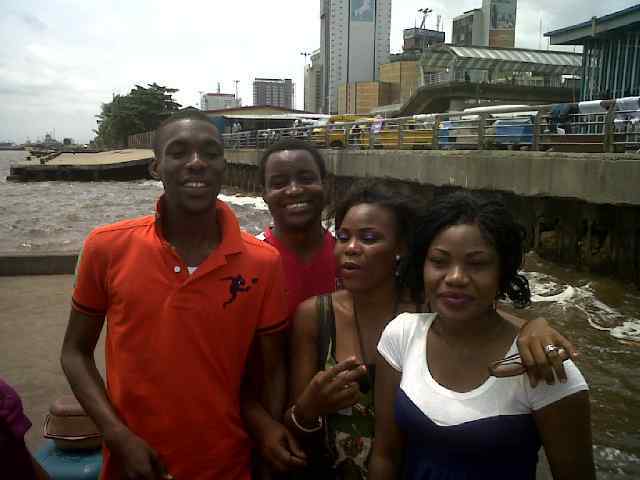 We boarded the speedboat at CMS and were charged 400naira per head. It’s about a 20 minutes ride to Tarkwa Bay (i.e. if your speedboat doesn’t develop challenges). No gate fee is required at the beach, however, we had to pay 2k to rent a tent (where we housed our belongings). The surrounding of the beach is okay, nothing so fascinating. 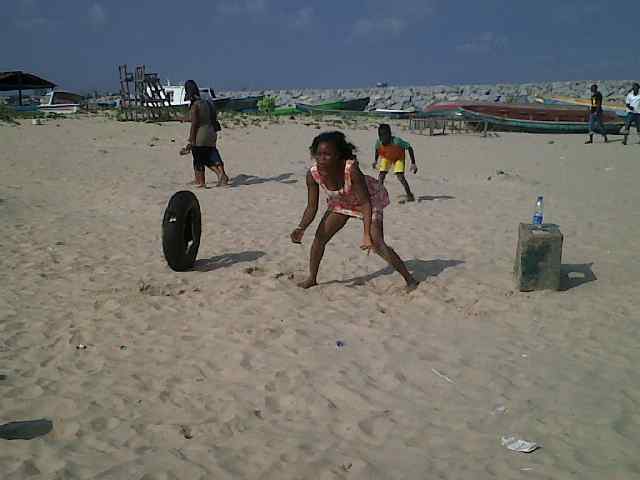 No bars, game resorts, or other side attractions like one would see at Elegushi, Oniru, or Alpha beach. Despite all odds, I had fun! We played games and had lots of food + drinks. I’d love to visit this beach again, despite the lack of any side attractions. I think it’s a perfect spot for reflecting, especially considering how busy and loud other beaches get. 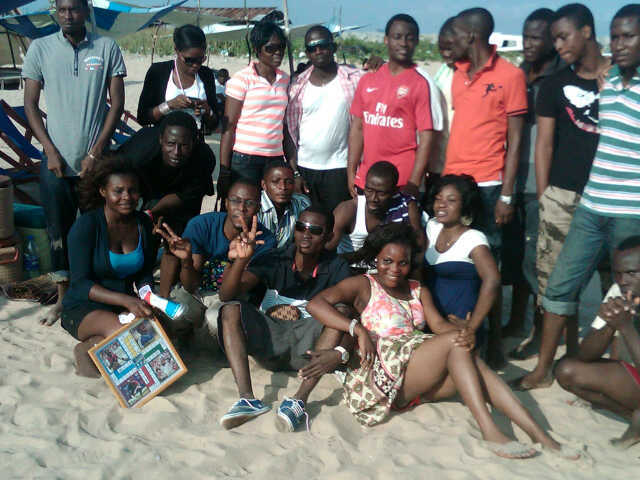 Have you visited Tarkwa Bay Beach? What was your experience like? Please share your experience! PS Click here to read reviews on other Beaches in Lagos! I was there a long time ago and it was a ferry that conveyed us and the experience was more like a boat cruise, it was really fun (well, maybe because I love swimming) but that was a festive season. I would love to visit the beach again but not on a speed boat, I need to enjoy the trip on water. …The I’ve only gone there once..and I don’t think i’ll be going there anytime soon…it’s not all it’s made up to be. The speed boat, more like motorized canoe, was not fun at all and probably was the worst part of the entire experience…i felt like any wrong turn, we would all be GONE! !